“Yes, I could be rendered by the CIA. I could have people come after me. Or any of the third-party partners. They work closely with a number of other nations. Or they could pay off the Triads. Any of their agents or assets,” he said. He predicts the government will launch an investigation and “say I have broken the Espionage Act and helped our enemies, but that can be used against anyone who points out how massive and invasive the system has become”. Snowden, a high-school dropout who spent time in the Army and once trained to become part of the Special Forces, said he became “disillusioned” with the government while he was working in IT security at the CIA’s Geneva office, where his clearance allowed him view a lot of classified documents. “I realized that I was part of something that was doing far more harm than good,” he explained, while also citing what he viewed as underhanded behavior by CIA operatives. He said he considered leaking information as early as 2007, though he held off because he “didn’t want to endanger” anyone and because he was hopeful that President Obama’s election would bring reforms. 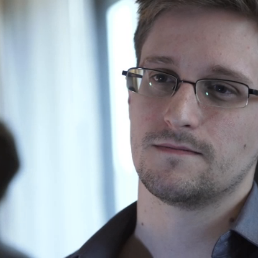 His work as a private contractor, which began in 2009 with an assignment at an NSA facility in Japan, exposed him to the agency’s surveillance tactics, which he said are intended to make “every conversation and every form of behavior in the world known to them.” Snowden decided to act because the government is acting with “no public oversight.” “The result is people like myself have the latitude to go further than they are allowed to,” he added. Update III: Even though the world has only known of Snowden’s existence for a few hours, someone has already started a White House petition to pardon him.